Macpherson Publishing specializes in website design and custom web application development for medium to large sized companies. 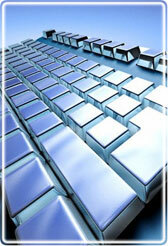 We are a full service Internet agency developing dynamic, workable online solutions. From digital catalogues to customized e-commerce applications, we can fulfill all of your web requirements. In addition to web design, our main focus is the creation of online content management tools and customer relationship management systems. We are experts in the creation of database driven websites that empower our clients to self manage their sites and streamline their business processes without the need for programming knowledge. Based in Toronto, Canada we have been in business since 1998 and service clients throughout North America. We strive on our ability to meet any deadline and always live up to our motto: "if you can imagine it, we can create it". For a free consultation on how we can help your business, e-mail or call us at 416-759-5237. We look forward to hearing from you! © 1998-2019 Macpherson Publishing. All Rights Reserved.